What data will be transmitted? receive, decode and interpret data! will have big impact on our mission. features like charts presenting the most important telemetry data. new information (e.g. about orbit, TLE data) will be available. Twitter profile – don’t miss anything, follow us now! (to radio.pw-sat.pl) at least one correct PW-Sat2 frame. * the most received and uploaded frames. For more about contests see (https://pw-sat.pl/en/ham-contest/). ... and I am making this post to share a couple of additional notes. Please forgive if this is old news, but it was new to me. 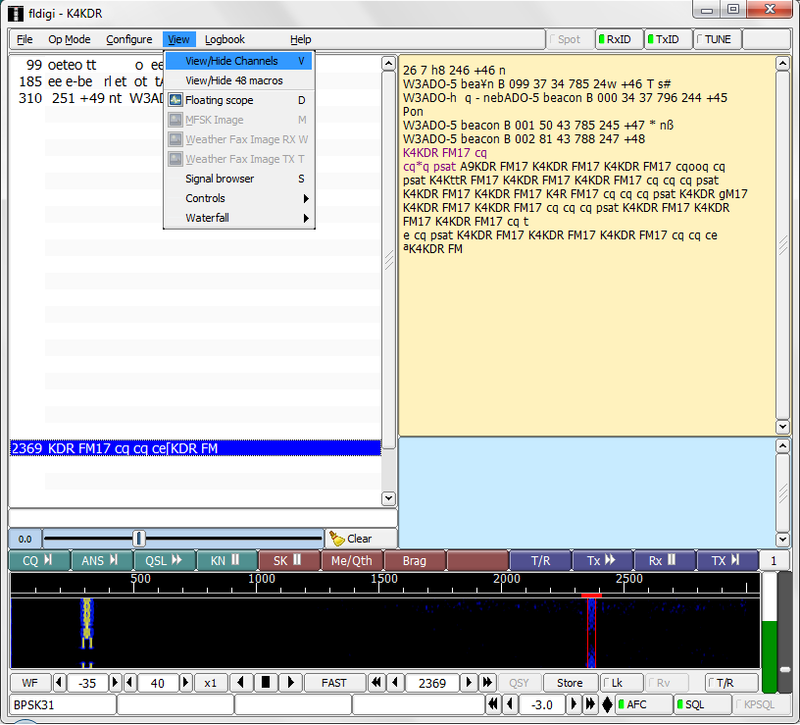 at 2369 is a repeat of what I am transmitting on 28.120! same time, it's extremely helpful to SEE each of those streams separately. 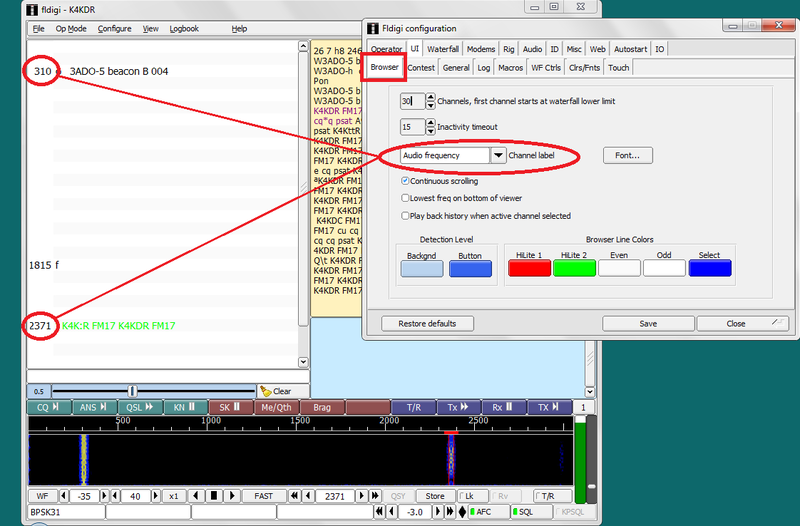 In the following image, please note how to enable the left-hand "channels"
stream appears in the main upper decode window in FLDigi. to be able to get some 2-station or even multi-station QSO's logged. enjoy another aspect of one of our long-orbiting satellites. Tävlingen avslutad. Grattis SM5EPC Anders Jonsson som är vinnaren! Kom ni ihåg Leila från Oscar 40? Kanske inte, det var länge sedan. Men Leila finns med på Es´hail och är alltså en detektor som indikerar för stark signal på upplänken med en ton på nerlänken. NO FM mode is allowed on the transponder. No transmission below the lower beacon and no transmission above the upper beacon. The NB transponder is a bent-pipe transponder and non-inverting. Uplink polarization is RHCP (right-hand circular polarization). Downlink polarization for the NB transponder is V (vertical linear polarization). Monitor the beacons and keep your own signal level below, otherwise you might trigger LEILA warnings. Please use minimum uplink power (ERP). 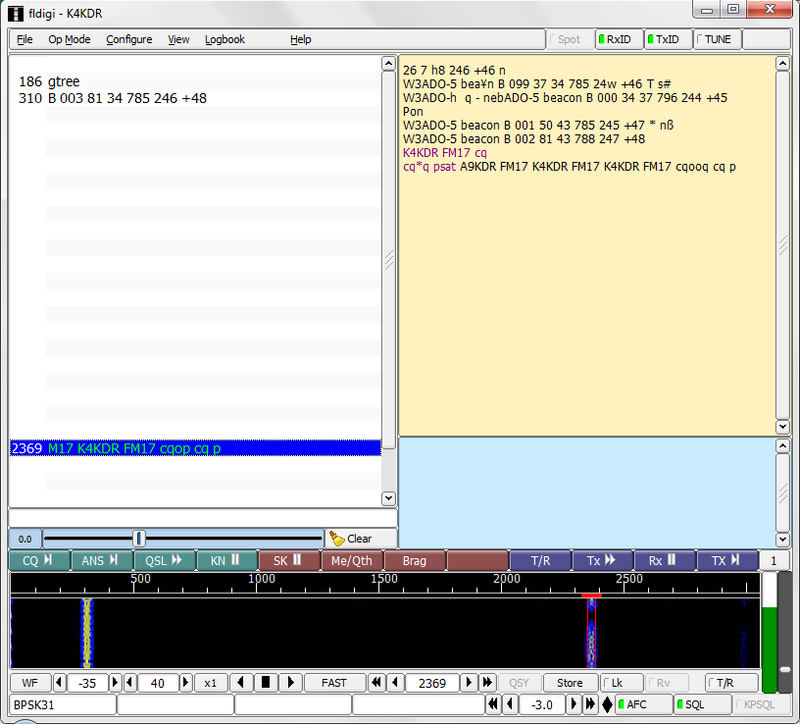 The beacons are modulated in 400 bit / s BPSK (similar to the P3 satellites) or in CW. The beacons are generated in the ground station and will Provide selected telemetry from the main satellite related to our amateur radio transponder. Täckningskartorna nedan är imponerande, bara att njuta! Es’hail-2 P4-A specialbevakas nu på amsat.se med en egen tag och att inläggen lyfts fram. För övrigt har en del äldre kategorier tagits bort och ersatts med taggar, tex. AO-40. when in sunlight and amateur mode when in eclipse. provides coverage in the afternoon. capabilities for the amateur satellite service. Exciting times ahead.